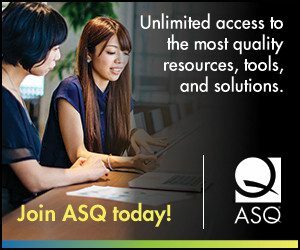 Perhaps one of the strongest pro-quality messages at the entire 2014 ASQ World Conference on Quality and Improvement came during the final keynote of the event. Education reformer Michelle Rhee spoke of turning around a failing school district. 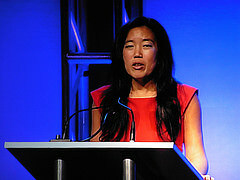 Although Rhee doesn’t work in “quality” per se, her speech energized the audience to stand up and clap in agreement. Her conclusion was saluted with a standing ovation. Rhee’s key points? Education is a priority because it determines the quality of the workplace we will get. And, in the U.S., we overpraise our children and give out too many unearned trophies and awards during the course of their education. We celebrate mediocrity, rather than quality. 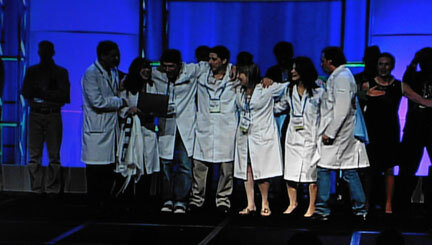 Parade of teams at the International Team Excellence Awards ceremony. Photo by Elias Monreal. Matter of Time team, Tgestiona. Photo by Elias Monreal. And this concludes our coverage of the 2014 ASQ World Conference on Quality and Improvement. Conversations are ongoing on Twitter with the hashtag #WCQI14. 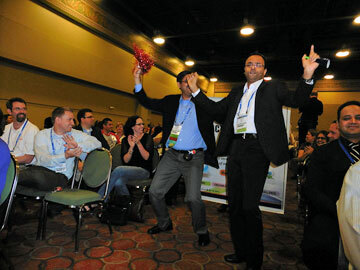 Thank you for a fantastic, energetic event! We hope you can join us next year in Nashville, May 4-6. What did you think of the conference? Leave a comment or email us at social@asq.org.